When you’re looking for the right vehicle for you to drive and experience on a daily basis, it’s important to make sure you have all the equipment you want on board to make the drive more comfortable and give you the items that make a difference to you. Some cars bring in more quality features for you to have the comfort you want while others give you performance qualities for the drive. Figure out what you want in the Dodge Charger and take a look at the pricing that will make this the right car for you to drive in Sunrise, FL. The Dodge Charger has become a car that offers you a classic style while bringing you a long list of great ways for you to equip it to be the comfortable family sedan that has the performance you want to enjoy out on the road. Take a look at the different versions of the Charger and see the team at Massey Yardley Chrysler Dodge Jeep Ram Fiat in Plantation, FL to find the pricing that will make a difference for you and allow you to have a driving experience that’s perfect for you in Sunrise, FL. The standard items you’ll find in the Dodge Charger you want to drive include LED daytime running lights, acoustic front glass, power windows, a rearview camera, rear parking sensors, a seven-inch touchscreen, the Uconnect 4 infotainment system, Apple CarPlay, Android Auto, chrome exhaust tips, automatic headlights, power mirrors, 17-inch wheels, and an electronic reconfigurable gauge cluster. With this list of items you’re going to be amazed by what you have when you take a look at the pricing offered that makes this the right choice for you to have the drive you want on the roads in Sunrise, FL. There are several different trim levels and options you can choose for the Dodge Charger. The packages of items are tied closely to the engine choices you can make and offer you a range of pricing that makes a difference for you when you head out on the roads in Sunrise, FL. Some of the items you can have for the drive include a power sunroof, the Beats by Dr. Dre and Harman/ Kardon sound systems, the Super Track Pak, a Technology Group, a Driver Confidence Group, a navigation system and several other items to make your drive easier and more of what you want on the road. 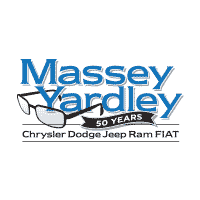 If the Dodge Charger is the right car for you to be able to have what you’re looking for in an excellent large sedan, you need to see the team at Massey Yardley Chrysler Dodge Jeep Ram Fiat in Plantation, FL and choose the pricing that’s perfect for you on the road. This is where you’re going to be able to find the car that you’ll want to enjoy out on the roads in Sunrise, FL with the equipment that you choose.